TEXAS: Cruz Challenger Reports Huge Donations - Joe.My.God. U.S. Rep. Beto O’Rourke, D-El Paso, raised over $6.7 million for his U.S. Senate bid in the first quarter of 2018, according to his campaign, a staggering number that poses a new category of threat to Republican incumbent Ted Cruz. The haul is easily O’Rourke’s biggest fundraising quarter yet, more than double his next-closest total for a three-month period. 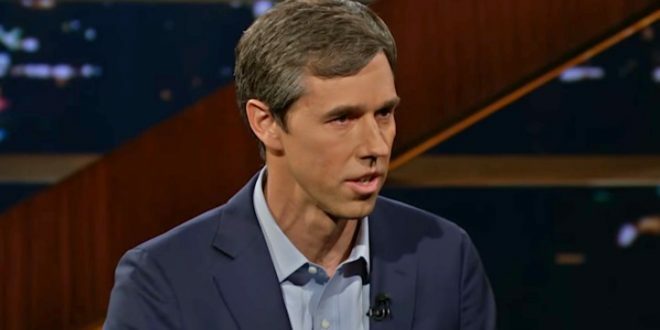 It also is more than any Democratic Senate candidate nationwide took in last quarter, O’Rourke’s campaign said. Cruz has not released his first-quarter fundraising numbers yet, but O’Rourke’s $6.7 million total is on a different level than his previous hauls, which ranged from $1.7 million to $2.4 million. Those alone were good enough to outraise Cruz for three of the last four reporting periods. Furthermore, the $6.7 million total came from more than 141,000 contributions — another record-busting number for O’Rourke.